What is the PainGone Pen? The PainGone Pen is a Pain-Relief Therapeutic Device , in the shape of a Pen , that was invented in Denmark in the late 1990`s. By pressing a button on the top of the pen, you activate a high voltage , low current which generates at 1-2 HZ via Transcutaneous Nerve Stimulations (TNS) over painful areas in a manner similar to Acupuncture. Dates back over three thousand years and is now recognised as a valid treatment for Chronic or Long-Standing Pain. Research has shown that using the PainGone Pen on Acupoints stimulates the Brain and encourages the brain to produce Endorfins , the body`s Natural Pain Killer. 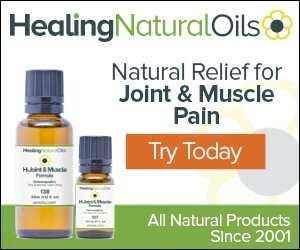 It delivers a controlled electronic frequency straight to the point of pain and provides fast and effective pain relief , quickly and discreetly. Place PainGone Pen on Point you wish to use it on and click away to activate the Crystals inside which Deliver the Electric Therapy. The PainGone Pen is a Totally Portable and Versatile Pain Relief Device that can be used Over Clothing , Any time , Any where and is available direct to you to try in the comfort of your home. With over 1000,000 Users World Wide no claims have to be made about the PainGone Pen - It`s Success speaks for itself.